Kudos to Max G. and his team for refurbishing the band tower to complete his Eagle Scout project and give our band tower a new lease on life! The tower looks great and is far safer than before. Please take a look when you have the opportunity. Thank you Max and friends! Neither brass nor woodwinds will meet after school this week. We will travel to performance assessment at Gadsden City High School this Friday, March 2 and will return to the band room by 5:00 pm. Please have rides ready at that time. "Total possible MAJOR scale points for Flute, Clarinet, and Mallets is 16: 1 point per each octave of the major scales, 1 point per each octave of the scale's arpeggio. Total possible for Bb CHROMATIC is 4: 2 points per octave. Plus tone & sight-reading." "Total possible MAJOR scale points for the other winds is 8: 1 point per each scale, 1 point per arpeggio. Total possible for Bb CHROMATIC is 2 because it is one octave. Plus tone & sight-reading." Please remember to submit your registration to Dr. Sargent by March 8. The deadline cannot be extended. The $25 fee is made payable to the Moody Band Boosters. Registration forms are available at the Moody band room. Woodwinds, Brass, and Mallets: Concerts F, Bb, Eb, & Ab scales and arpeggios. Bb chromatic. Sight-reading. Flute, oboe, clarinet,& mallets two octaves. >All rudiments are to be played open-closed-open (slow fast slow) on one part of the head - close to center (don't play edge to center to edge). 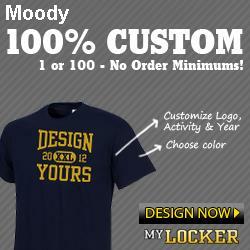 An MPA photo order form has been added to the Moody Blue Devils Yahoo Group (join from the www.moodyband.org homepage). If a photo is desired from next week's performance, please complete the form and send to the Moody band room with a check made payable to B Creative Photography. Student orders will be mailed to MHS and distributed at the band room. Our performance time (necessary to complete the form) is 2:00 pm Friday, 3/2/12. Just click on your instrument and follow the instructions. Happy practicing! Please ignore the previous posting on after school rehearsals this week, 2/21-2/24. There will be no after-school section rehearsals on Tuesday or Thursday. Band boosters and auxiliary candidates will meet as scheduled and as announced previously. The concert band will travel to Gadsden City High School next Friday, March 2, to participate in the music performance assessment. Details will follow. The 2012 St. Clair County Jr. High Honor Band will be held on the campus of St. Clair County High School this year. The clinician/conductor will be Tracy Wright from Ringgold, GA. Mr. Wright is an extremely successful middle school director and routinely conducts honor bands throughout the southeast. The $25 registration fee will cover the cost of the clinician, lunch (PIZZA!) on the Friday of the event, a participation medal, a master class with a professional musician on each instrument, and an honor band t-shirt to be worn at the concert. The addition of the master class is new this year. The registration deadline is Thursday, March 8th. Register by bringing a check, cash, or money order made payable to the Moody Band Boosters to the Moody band room with the requested information below. Chair placements will be on Tuesday, March 13th at the St. Clair County High School band room from 4:15-6:00. The honor band will be held at the Saint Clair County HS band room on Friday, March 16th and Saturday, March 17th. On Friday, the honor band activity is scheduled from 8:00 am until 6:00 pm, and Saturday's schedule is 9:00 am until 11:00 am with the concert at 1:00 in the school gym. Parents and students are responsible for transportation to and from this event and for meeting school attendance requirements when absent from school for event attendance. Participation is strictly voluntary and does not contribute to the grade earned in the Moody band program. Although participation in the honor band is at the discretion of students and parents (not required), I strongly encourage students to attend this wonderful opportunity. Please return the lower portion of this letter with your $25 registration fee payable to the Moody Band Boosters, with your full name,instrument, and shirt size, to the Moody band room by 3/8. All 7-9th grade Moody band students have already been accepted into the honor band. Students need only attend the chair placement auditions and pay the $20.00 participation fee to get involved. Auditions at St. Clair Co High School: 3/13, after school hours. Play F, B-flat, E-flat, and A-flat scales for your instrument and sight-read. Honor Band Festival and Concert: Friday and Saturday, 3/16-3/17. Details to follow as they are available. More info to follow. Please direct questions to brad.sargent@sccboe.org or 640-1995. Tuesday, Feb 21, 6:30 pm, band room. Please attend and support YOUR Moody Band! The concert band brass sectional scheduled for today, 2/14/12, has been rescheduled for this Thursday, 2/16/12, 3:00-4:00 pm. Concert band woodwinds and percussion will not have after-school sectionals this week. A revised schedule for next week will follow soon. Queen of Hearts Thank You!!!! Queen of Hearts-- Help Needed!!!! Queen of Hearts is here! We have about 135 participants and are looking forward to a full day. We have the gym starting at 3pm Friday so we will begin to decorate early. If you can come at 3, please meet in the Band Room. We will be getting some things together then going down to the gym. Rehearsal begins at 5pm and it would be awesome if we could get decorated before then. We will have an early night if that happens! On Saturday if volunteers could come to the school lobby by 12:30, it would be great. We will have small chores to do, then registration begins and the girls come. Please contact Elizabeth McGinnis at mcginnis5@freemail.hu if you have any questions.